Overview… a man in late 17th century Massachusetts whose life is about to be turned upside down. 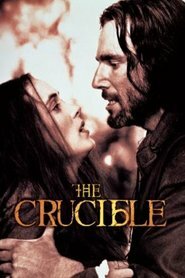 John Proctor lives in Salem with his wife, Elizabeth. They have their highs and lows, like every couple, but their lives are thrown into upheaval when their former maid, Abigail, begins to have strange fits. She accuses women in the town of witchcraft, and soon more and more girls are claiming to be hexed – and pointing fingers at “witches.” John isn’t sure he believes any of it. Personality… a good man, but not without his flaws. He’s not prone to gossip or hysteria, and takes his principles very seriously. He has a temper, though, and he hasn’t always been faithful to his wife, although he loves her. John’s cool head and keen perception enable him to see that the witch trials are a farce, but he may not be able to convince anyone else. John Proctor's popularity ranking on CharacTour is #3907 out of 5,000+ characters. See our top-ranked characters and read their profiles.